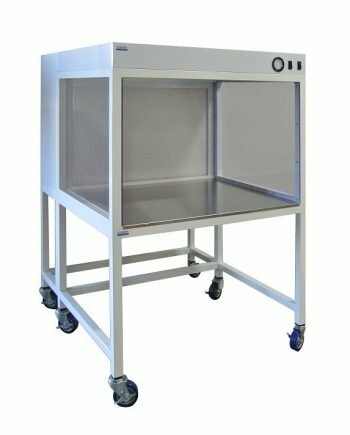 Newly designed horizontal laminar flow hood with optional worksurface or table provide ISO 4 or ISO 5 condition for many application required sterile and clean environment. The fan/filter housing can be separated from the front frame for easy transportation. Construction available in powder coated steel and 304 Stainless Steel. They are available in 3 to 8 feet length and can be used without worksurface for application are sensitive to vibration. 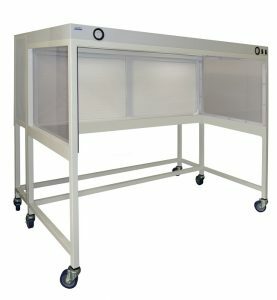 The worktable can be placed inside the hood and being isolated from the hood body. 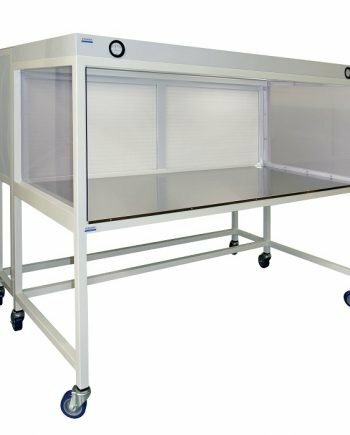 Options include stainless steel attached worksurface, Stainless steel cleanroom table, Stainless steel interior side panels, UV sterilization light and ionizing bar. 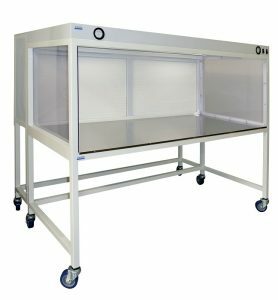 Click on the product codes to see the datasheet or request a quote for Horizontal clean benches.